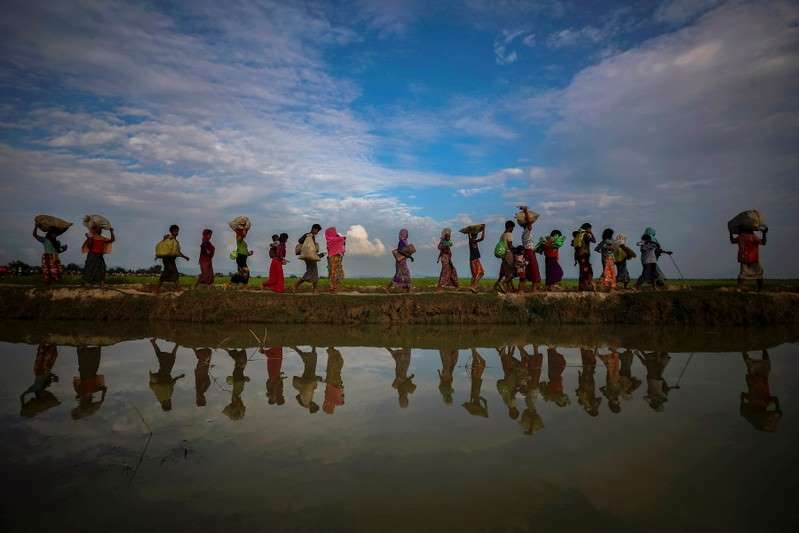 The U.N. inquiry's report, released in August, called for the U.N. Security Council to impose an arms embargo on Myanmar, impose targeted sanctions and set up an ad hoc tribunal to try suspects or refer them to the International Criminal Court. However, they cannot block the briefing on the U.N. report because a minimum nine of the 15 council members support the move, which cannot be vetoed. Diplomats say China and Russia believe the report should first be addressed by the U.N. General Assembly's Third Committee, which deals with human rights. Myanmar's U.N. Ambassador Hau Do Suan wrote to the Security Council on Tuesday to object to the chair of the inquiry being invited to brief the body, warning that it "will only exacerbate mistrust and polarization among different communities in Rakhine" state, where the military crackdown occurred. The U.N. inquiry, established by the Geneva-based U.N. Human Rights Council, said the military carried out mass killings and gang rapes of Rohingya with "genocidal intent." Myanmar rejected the findings as "one-sided" and said it was a legitimate counterinsurgency operation. "Unilateral coercive measures without regard to the situation in Myanmar and imposition of politically motivated external pressure will be detrimental to the existing good will and cooperation of the Myanmar Government with the international community," Myanmar's U.N. envoy wrote to the Security Council.